PHP Interview With Lorna Jane Mitchell The Project Lead Of Joind.in – Get started! Stop reading! Start doing! This is the #10th set of PHP Interview to help aspiring PHP developers and PHP fans alike to get inspired by listening from those PHP guys who are already highly involved into the PHP Ocean and being ‘there’ taming the waves and surfing better than ever to make themselves an Awesome PHP Expert both in their own eyes (for self-accomplishment) and for the PHP Community. On the other side, this is an opportunity for new PHPers to get to know their “PHP Elders“. I hope you will derive as much fun to read my interviews as I’m having by interviewing those A-List PHP guys. Hello, I’m Lorna and I live in Leeds, UK. I’m a freelance PHP consultant, which basically means I get to do a little bit of loads of different things and help people out on their projects, as well as making time for my own. I lead the open source project joind.in, am one of the authors of PHP Master and am involved in a variety of different community groups – I also speak at conferences when they’ll have me. I started writing PHP in 2001 when I told a man I met at university that even I could do a better job with the student society website than he did. And then I had to back up my claims! PHP has grown a lot, I started with PHP 4.2 and writing very procedural code to show database results and process forms. It’s now a language of software engineering in many ways – but I can still whip up that quick procedural script when it’s the right tool for the job. The best thing about PHP: anyone can use it. The worst thing? Anyone can use it! It’s the reason that so many people love to hate the language, because so much of what is created in it is rubbish. Personally, I think that if you can use the language to solve your problem, even if your code isn’t perfect, then that is awesome and you are more than welcome to do so. Get started! Stop reading, start doing. And don’t be afraid to refactor. The only time you are ever “doin it rong” is when you stop learning. 6) To someone who wants to become a better PHP developer, what is your advice? To improve you need to get some exposure to new people, new ideas, new technologies. To become better at PHP make sure you are reading about it daily, or even better get involved in an open source project so that you are working with others. Meet your local user group or fine a virtual group of peers and talk to them about technology; listen as well as talking, hear some new points of view. It doesn’t just have to be PHP either, when we work in another discipline, we bring the experience from there back with us when we come back to PHP. Actually, there are literally two PHP books on my shelf, both of them sent to me in recent years to review. I learned PHP at a time in my life when I didn’t have the money for books for my hobby – I must admit though that PHP and MySQL Development by Laura Thomson (@lxt) and Luke Welling (@lukewelling) is absolutely excellent. 8) You have also written/co-authored the book PHP Master for intermediate PHP programmers. Could you share the good moments (as well as any not so good moment if any) you experienced while writing this book and what motivated you to pursue it? I love to write – I have over 700 posts on my personal site lornajane.net – so when Sitepoint contacted me about this book, I absolutely JUMPED at the chance! At the time I was thinking of self-publishing something with some of the same content, so it just worked out really well. I wrote it last summer on top of the silliest conference/travel schedule I think I’ve ever done in my life and the impending doom of very tight deadlines kept me motivated! The best moment was getting the last of the chapters delivered on time and feeling like I’d climbed a mountain; this was my first book so I didn’t know then that I had done the fun bit and things would be much harder between that moment and the first time I held my own book in my hands. Vim. People may tell me that I’m wrong but it works for me and that’s all that matters. Sometimes I do, but for the most part I work with logging or outputting errors when I’m tracing bugs. My own blog moved to wordpress this summer and I sort of like that I don’t have to code to change things, particularly presentation things as my frontend skills are almost non-existent. WordPress is a bit of a beast but it’s well supported and it was easy to find people to theme it. WordPress gets flamed for its code but nobody else comes close in terms of features so I think credit should be given where it is due. Actually, I’m not a huge fan of frameworks. I use them, and as a consultant I use whichever one my clients are using. But I don’t have a favourite, in fact I wrote about exactly this recently for @netmag: http://www.netmagazine.com/opinions/php-land-thousand-frameworks. It would have to be Elizabeth Smith (@auroraeosrose). She didn’t pursue a formal computer science education, and yet her skills are far beyond the vast majority of software developers I have ever met. She has an unstoppable energy and infectious enthusiasm, and will always give up her time to speak and mentor others in the community. Don’t forget though that her code skills are beyond excellent, she’s made very significant contributions to PHP. PEAR. It’s really rare to see good press about PEAR but it’s a fabulous distribution method and there are some absolutely fantastic libraries both there and in PECL that get overlooked. Everything about PEAR isn’t perfect but I’m still very glad we have it. The PHPWomen group (@PHPWomen). It is no exaggeration to say that I wouldn’t be a programmer today without them. 18) The never ending debates on PHP would be.. ? Hypocritical. PHP is an open source project and you can either accept and use it, or you can patch what you don’t like. People giving the benefit of their wisdom on mailing lists but not actually contributing to the core are, in my opinion, wasting the time of our best and most talented contributors who spend their time arguing instead of doing what they want to do – work on PHP! 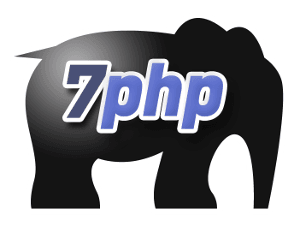 Controversially, I think we’ll have a big falling out in the core community but in 5 year’s time we’ll have PHP 7 “coming soon” and it will be awesome. 20) Recently Microsoft has also started actively to concentrate on PHP, any comments on that? I think it’s great that microsoft have realised what a key player PHP is and their investment has made a great difference. 21) How many hours you spend coding on average per day? 22) The day you realised “You’ve made it to the A-List PHP arena” ? I’ll let you know when that happens. 23) Why you are successful and why others are not? Because I think this is the strangest question I’ve ever been asked! 24) As a woman in the PHP programming world/community, how has it been? You know, I don’t really have much to say on this one. Communities are awesome, but maybe you can ask me about technology instead? 25) Any other things you would like to add and which you feel will be helpful to my readers? I recently did some consultancy for a person I knew through the PHP community channels, and after a couple of days they said “you know what’s weird? You’re a real person!”. That’s true of everyone, the core contributors, the people whose interviews you read here, everyone. We’re all just doing what we do, and we’re real people, so come and say hi if you are in the same place as us one day. These interviews are great 😀 I’ve read them all. Thanks a lot!